Someday there will be recovery supportive housing and community centers throughout the United States. These clusters will be developed with a variety that will include individual houses, apartments, and congregate living accommodations. There will be a mixture of housing with normal-cost apartments for recovery veterans and low-cost, supervised shared housing for those in early recovery. In many accommodations there will be specially designed housing sections for women and/or men with children that have play areas and childcare. Sober housing clusters will be designed to accommodate persons who are physically and mentally challenged. 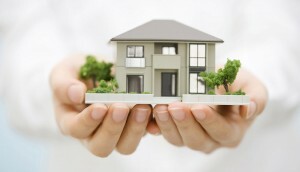 Sober housing clusters will be recovery-promoting incubators. The clusters will include meeting spaces to host self-help and educational meetings, recreational, and social events. They will be operated within a democratic culture and a high level of recovery enthusiasm. These clusters will become islands of sobriety in our alcohol and drug using society. Sober housing and community centers will become continuously available as a recovery assistance resource for alcoholics, addicts, and family members. They will be available and noticeable not only to those who are fully into their addiction, but those who are in their earlier or experimental stages. Communities of stable recovering persons can easily absorb newly recovering persons into their community. Currently many sober living homes are trying to meet the needs of newly recovering persons without the benefit of having a core of stable recovering residents or the management resources to meet their needs for recovery and other supportive services. The rationale for cluster housing is that the self-help learning process occurs over time. The greater the exposure to a comprehensive recovery environment with many recovery activities and a predominance of recovering people, the greater chance a person has to learn recovery. 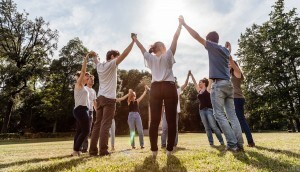 The need for a balance of recovery experiences became evident when twelve-step meetings dominated by newcomers were not as effective in assisting recovery as those meetings where most members have long-term stable recovery. One urban and suburban development trend—the growth and popularity of mixed use commercial and residential developments—can facilitate the development of recovery-friendly environments where blocks of residential capacity can be designed and promoted to attract individuals in recovery. The primary mission of the Sober Living Network is to promote the establishment, successful management and growth of high quality sober living homes and other community-based recovery services. We envision the day when every recovering addict and alcoholic in need can avail themselves of these services. Demand for quality sober housing far exceeds supply, for housing that is accessible to those of limited means, or underserved (and difficult-to-serve) populations. The Sober Living Network is a 501(c)(3) nonprofit public benefit organization. We do not own, manage or have a financial interest in any sober living or other recovery facility. We act as a standard setting, instructional, informational, planning and organizational resource to local associations of independent sober living homes which meet our affiliation standards. We promote excellence in the management of sober living facilities. Our larger mission, is to promote individual recovery from drug and alcohol addiction, and in that respect we serve the entire community. The Network was founded in 1995 as an umbrella organization for independently operated sober living homes in the Los Angeles area. These homes unite with the guidance and support of The Sober Living Network, to exchange information, provide quality assurance and establish professional standards for services to their residents and the community. The number and size of these groups has grown. They have grown into county-based organizations-the Sober Living Coalitions. Today, these groups represent 550 sober living homes in five Southern California counties. The functions of the Coalitions are described in more detail below. A listing of scheduled local Coalition and Chapter meetings also appears below.